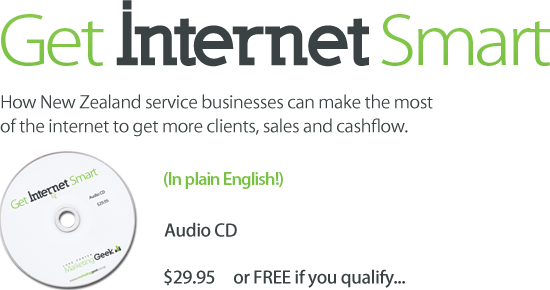 Can you get more business from the internet? Yes, you sure can. More clients, more cashflow, more profits. But you can’t get more with just an average website. 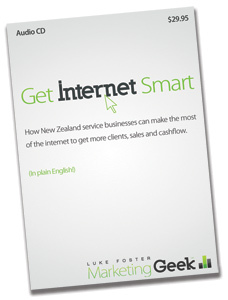 That’s why most kiwi service businesses do poorly online. They need a system. 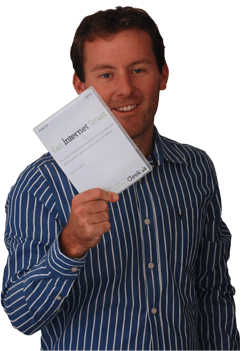 I’ve made this training CD, to explain to service businesses what to do to get the most from online marketing. It’s in plain English (I cut out the geek speak) and get’s straight down to the issues that make a difference to your bottom line. Why most businesses get disappointing results – the mistakes to avoid. 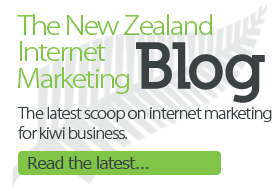 How internet marketing really works (and why a lonely website is not enough). 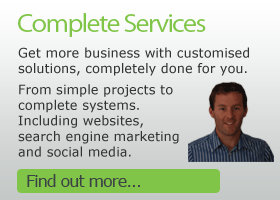 The Six Part System for consistently getting more business online. Why interruption advertising is ignored and how to instead be treated like a trusted advisor. Using Google, Facebook, YouTube, Twitter and others to bring in fresh leads. Securing your cashflow by going with the long term trends and understanding the future of marketing. The CD is $29.95 including delivery in New Zealand. However, for a short while I’m offering it free to businesses that qualify. Simply fill out the form bellow. If you are paying for your copy I will email you an invoice so you can pay by credit card.